Psychotherapy and coaching for individuals who are artists, creative, gifted, or talented. Creative individuals are innately talented, with certain genetic traits and predispositions to certain kinds of personality traits. Coaching and counseling can provide you with practical skills to enhance creativity, support artistic growth, enrich meaning, and improve productivity. Creativity can be understood through an analysis of the creative person, process, product, and environmental press (external influences). Problems in one or more of these arenas can wound a creative individual or disrupt the creative process. However, with support, problems can usually be transformed into opportunities and ultimately enhance the creative process. INDIVIDUALS ARE A SPECIAL POPULATION WITH UNIQUE NEEDS. I can assist you with setting and achieving goals, establishing effective studio/rehearsal practices, applying time management principles, finding your unique sources of inspiration, developing commitment to your work, reconnecting with passion, developing or changing your individual style, understanding and transforming creative blocks, or exploring potent imagery. You define the problems to be addressed during our work together. Creativity can be practiced as a way heal individuals (both the artist and the art audience), communities, and our little planet, serve as a spiritual practice, or used to explore personal mythology. Sometimes, there are wounds from past experiences with teachers, professors, parents, partners, or other significant others, that continue to affect creativity and productivity in the present. Past traumas and losses can also negatively affect the creative process. I use research based trauma treatment known as EMDR (eye movement desensitization and reprocessing) as well as sand tray, art therapy, humanistic and transpersonal psychology, biofeedback, cognitive restructuring, metaphor, dreamwork, deep empathy, and compassion. Also, relationships with significant others, partners, spouses, children, etc., are affected when someone in the family system is an artist. Conventional ideas about family and gender - or conventional ideas about artists - might impair healthy relationships with others and with self. Our work together can also be growth oriented, providing insight, depth, richness, and higher functioning in your interior world, personal relationships, and creative work as you discover how to transform the raw material of life into work that is meaningful to yourself and others. Accomplished artists sometimes experience crippling anxiety related to performance, exhibits, or other public presentations of creative work. Artists sometimes hold onto beliefs that undermine success in career development ("I'm too left-brained to handle the business aspect of my career"), continue painful patterns ("I must suffer to make great art"), avoid actions that might lead to rejection, or other self-defeating behaviors that negatively affect creativity and productivity. These thought patterns can be defined, the roots of the problem can be identified, psychotherapeutic interventions can be applied, and then alternate patterns can be practiced, leading to new ways of being that support higher levels of creativity, a sense of freedom, enhanced artistic production, and career growth. At moderate levels, these high waves and low troughs are assets to creativity and do not necessarily have negative affects on daily life or work. But, if the highs are too high or the lows are too low, then creative productivity and daily life suffer. Lifestyle changes can improve sleep and mood. When relevant, I refer clients to a naturopath to address depression, anxiety, insomnia, worry, and other problems. If desired, I can also refer clients to psychiatrists that I have carefully screened and respect. ACTUALIZING CREATIVE TALENT ALSO REQUIRES ADEQUATE ABILITY IN EACH OF THE FOUR FUNCTIONS IDENTIFIED BY CARL JUNG, NAMELY FEELING, THINKING, INTUITION, AND SENSATION. Feeling is related to emotional expressiveness. Thinking is applied during research, analysis, self-critique, and logical problem solving. Intuition provides guidance into unknown territory, the magical realm of the art spirit, dreams and symbols. 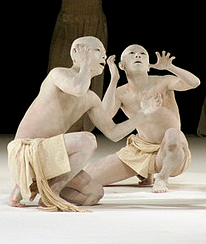 Sensation is engaged during manipulation of artistic media that use the senses and physical movement. Although these functions are rarely balanced in any one work of art or, for that matter, within any individual artist, each function plays an important role that can be developed more fully. AND FUNCTIONING IN DAILY LIFE. Many typically unconventional ways of artistic being, such as rich imagination, daydreaming, fluid access to the unconscious, preference for unconventional styles of dress or behavior, or the ability to work through the night when inspired, can be misinterpreted as psychopathology that should be "cured." However, these actions can be typical, even desirable, elements in the creativity process. Yet, if unbalanced or out of control, the creator and artist might not get adequate sleep, find performing regular daily tasks difficult, or lack grounding in reality. As a professional artist, a psychologist with systems training in psychotherapy for individuals, couples, and families, and additional formal study of the psychology of creativity, I provide clients with practical knowledge, genuine caring, and personalized guidance. In addition to office appointments, I can schedule studio visits and attend lessons, auditions, rehearsals, screenings, exhibits, and performances. I understand that the conventional "50 minute hour" is sometimes inappropriate for creative individuals, who undergo a shift in brain function as they slip into the collaborative creative flow of the psychotherapy or coaching process. Sometimes 50 minutes is required to get to a core issue. An hour session can be too short to discover the root of a problem, develop understanding, learn and practice coping skills, and feel healing transformation. I recommend 90 minute sessions so that we can travel through an entire creative cycle of counseling. This will also make our work together more productive and often increases the rate at which people feel better! Occasionally, longer sessions of 3 or 4 hours are appropriate to allow for an extended session of intense work, based on your individual needs and goals. I have worked with artists who create in many different art media, including - but not limited to - painters, sculptors, print makers, metal smiths, weavers, etc. ), designers, film makers, actors, script writers, directors, poets, animators, rock musicians, set designers, fiction writers, choreographers, singer songwriters, photographers, minimalist composers, game and software designers, art students, and talented children and teens. Clients have also included folks who are highly creative and accomplished in the business realm. For clients traveling from out of town, I offer intensive daily sessions of 4 hours each day, for several consecutive days. I occasionally travel outside of the Seattle metropolitan area to meet with clients. You may contact me by calling 206-588-5278 or using the contact form on this website. My Bio regarding my education, training, and experience. Professional fees, insurance, and payments. Carl Hild, figurative sculptor, Anchorage, AK. Art Festival in Black Rock, NV. Paint palette, my art studio. Thank you, friends, for allowing me to use your photographs on this website.